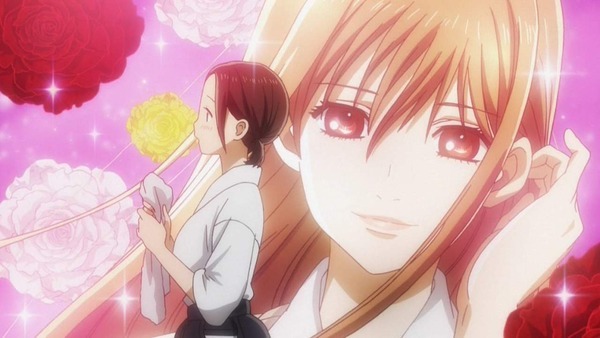 Early in its run, I remarked on Twitter that Chihayafuru was an example of how good writers can make any situation and any subject interesting. This is because what a good writer can do is make almost any specific experience or subject matter universally relatable. 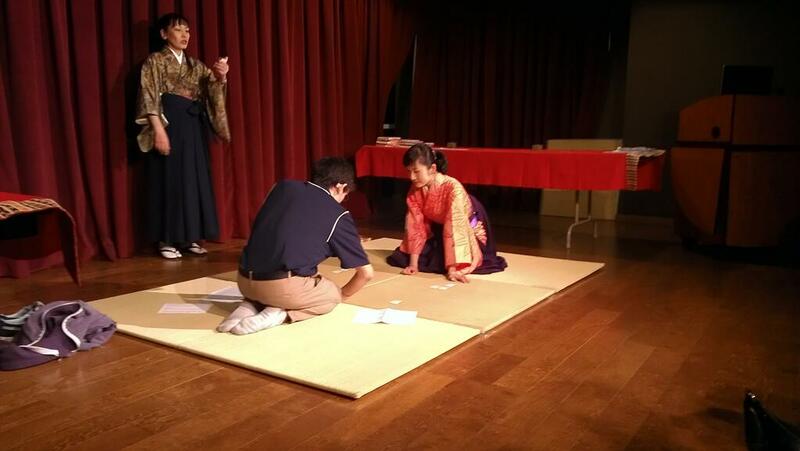 Someone may not necessarily know much about the exact rules of karuta, but he or she will know what it’s like to find new friends and do things together with them, and how painful it is to part after being together for a while. 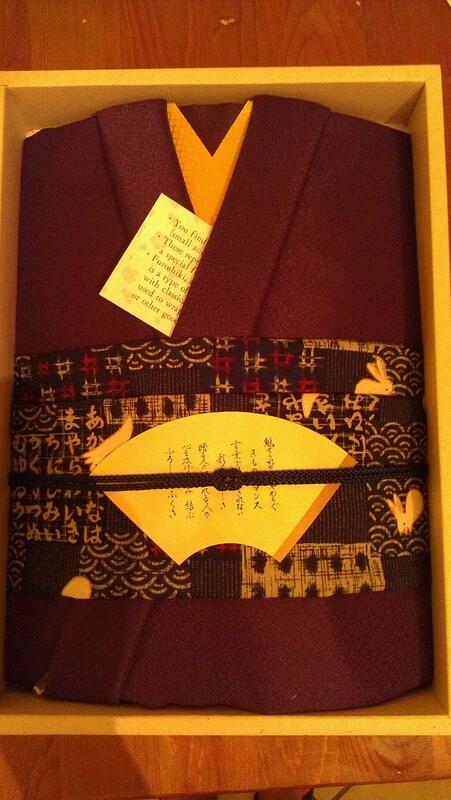 Karuta is just a catalyst, or an organizing principle, in which the human drama can play out. 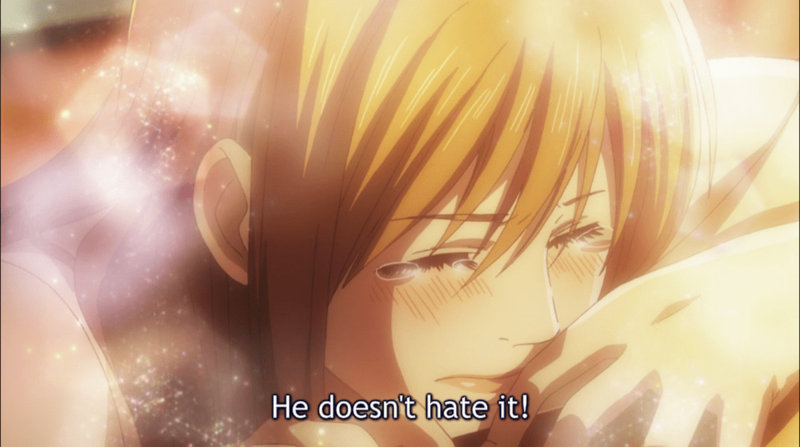 The first few episodes of Chihayafuru started this way, with plenty of subtext and hints of things to come: for instance, Chihaya’s neglectful home situation, the rivalry between Taichi and Arata, the implicit love triangle between the three of them. Chihaya’s enthusiasm, concern for the outcast, and diligence are infectious and make her a surprisingly likable protagonist—especially later on, when some of her actions might seem grating and obnoxious were it done by someone in reality. (No doubt, it also helps that she is pretty, and seems to have a soft spot for lonely nerds. If only there was someone like that in my life at that age—ahem, moving on…) Taichi, too, comes off as initially unsympathetic compared to Arata, but his character grows over time and matures subtly. All this happens while large amounts of screen time is given to the game itself, to a degree that often feels like the show is sponsored by whatever official league might exist for karuta in Japan. Various strategies for passing cards are discussed, in detail. The etymology, and later the meaning, of many of the poems of the Hundred Poets is lovingly explained (and indeed, given the name of our heroine and the show itself, this is an important detail). The swiping of cards is presented with such kinetic force it manages to make the game feel badass. To a large extent, the show actually serves an educational function, though if the game is played in most elementary schools (as I’ve read), one might wonder why the show forms such an extensive tutorial in the basics. I walked into this show knowing nothing about the game, and now, after watching 10 episodes, I have a grasp of the basics. The problem is: I’m beginning to feel like it’s a bit much in the game-focusing department. The sense nagged me even as early as the childhood arc in the beginning, and it’s gotten moreso over time. More specifically, the game is frequently called upon to serve as the singular metaphor or analogy for what the characters are going through, and it’s getting more and more strained. Chihaya’s frequent declarations, both as a child and as a teen, that all she wants is to play karuta forever and that karuta will bring them all together is overstated. So, too, are the stories of Arata and Nishida (Porky), in which their lack of playing the game is the chief sign of their trauma—and of course it’s up to cheerful, persistent Chihaya to coax them back into the game, and thus into friendship? love? (Shades of Fruits Basket here; this is a very shoujo-y kind of thing.) 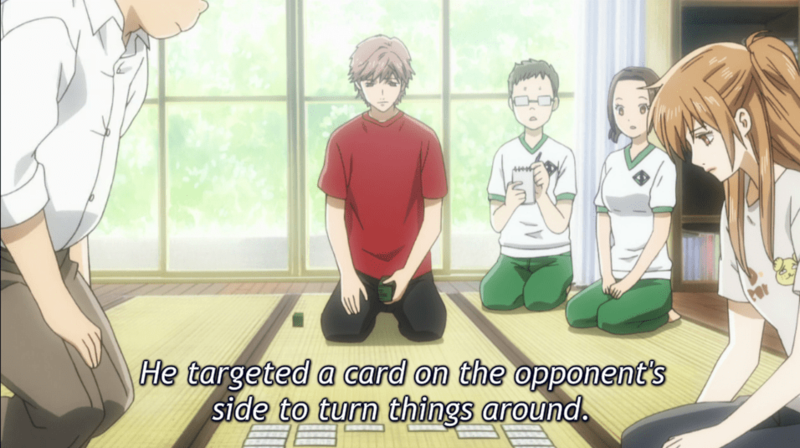 Taichi, who is the most complex character of the lot, is also the only character who doesn’t seem to be basing his entire life around playing, or not playing, karuta. The attitudes toward the game actually kind of typecast most of the characters and define their roles in the story. I think this is fine in the initial stages, but I’d like to see the more overtly human element pick up more emphasis as the series continues. We’re seeing some good hints of that, fortunately—Chihaya’s sweet 16 was a particularly well-handled scene, if a tad melodramatic. Part of Chihaya’s maturing, no doubt, is to be able to grasp her own feelings beyond the filter of the game and understand what the pining Taichi, and the hurting Arata (among others) are trying to say. The exclusivity of that filter so far has been a little grating. Yes, I know, a lot of it is not-very-subtle sublimation. It just feels somewhat, well, overused.